A few weeks ago, I sat in a Kitah Daled class (4th grade) in Gondar, Ethiopia. The students were singing a song, repeatedly using the vocabulary they were learning that week. During their entire lesson, the teacher, an Israeli-Ethiopian woman, asked them questions using only Hebrew and expected them to respond, again, using only Hebrew. It felt and sounded just like sitting in our Kitah Daled class at Akiba-Schechter in Chicago. As part of our visit, I was able to observe classes at the Jewish school and community center there. 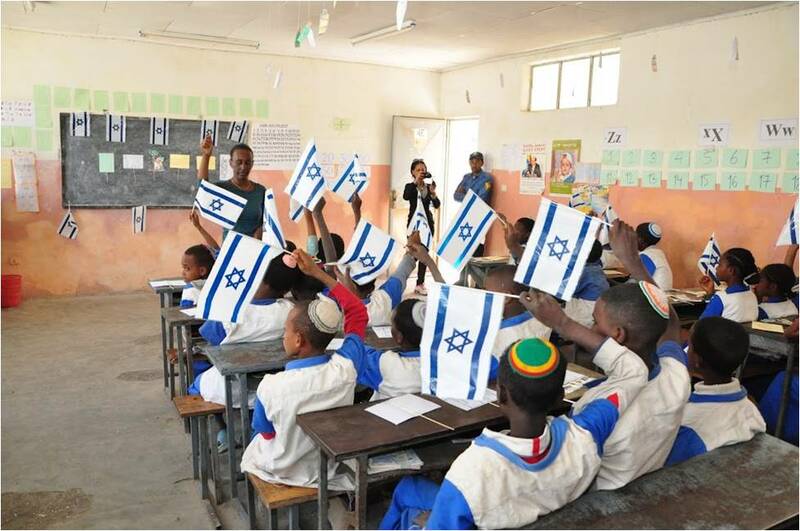 I first went to the grammar school, which primarily enrolls Jewish Ethiopian students whose families will make aliyah (emigrate to Israel) within the next year or so. These students not only study the regular subjects in Amharic (the local language), they also learn English and Hebrew. Later I visited an early childhood program (a gan) for children whose mothers were taking classes to prepare for the move to Israel. Again, I could have been in any of our preschool classrooms in Chicago. 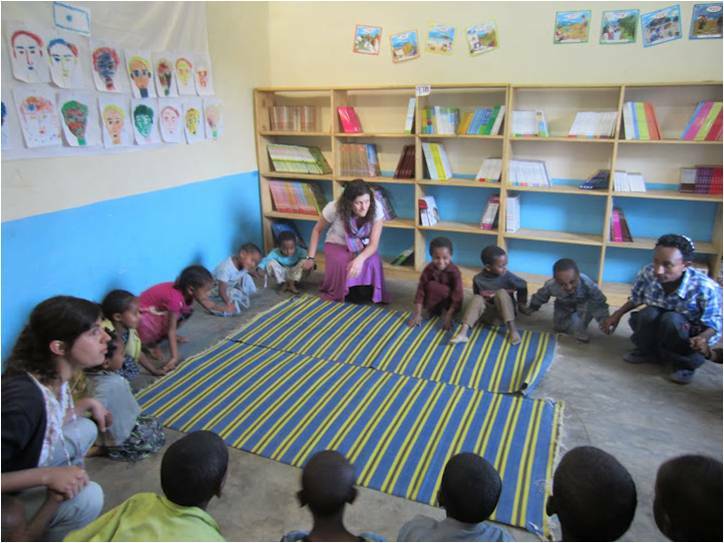 The Ethiopian children were singing the same songs and playing the same games our preschoolers do. To hear “Yadayim, l’malah, al ha rosh …” (the song we sing before the motzi in the preschool) in the middle of Ethiopia was amazing. To be on the opposite side of the world and feel that if I had closed my eyes, it would have sounded just like being at Akiba-Schechter in Chicago was a very moving experience for me. It made me appreciate the deep values that underlie these practices. Our belief that giving our children a solid foundation in Jewish values and knowledge from the earliest years unites us with Jews so far away and in such a different culture. It drives both our Hebrew teachers and the Ethiopian Hebrew teacher to insist on Hebrew-only in their classrooms. Wanting our children to see learning as something fun and exciting is what leads the teacher of the Ethiopian gan and our own preschool teachers to use songs and games to introduce Hebrew and Jewish traditions. And when we do get the chance to meet Jews from such a different life, we find, like I did, that it’s not that different after all, and that there is probably more that unites than separates us. Recently, the four and five year olds in Akiba-Schechter's Peach Room explored what is important in human relationships and what makes them special. Here's their process. By the way, words were picked in conjunction with Dr. Martin Luther King Day.